People who are born between January 20th and February 18th belong to the star sign of Aquarius. 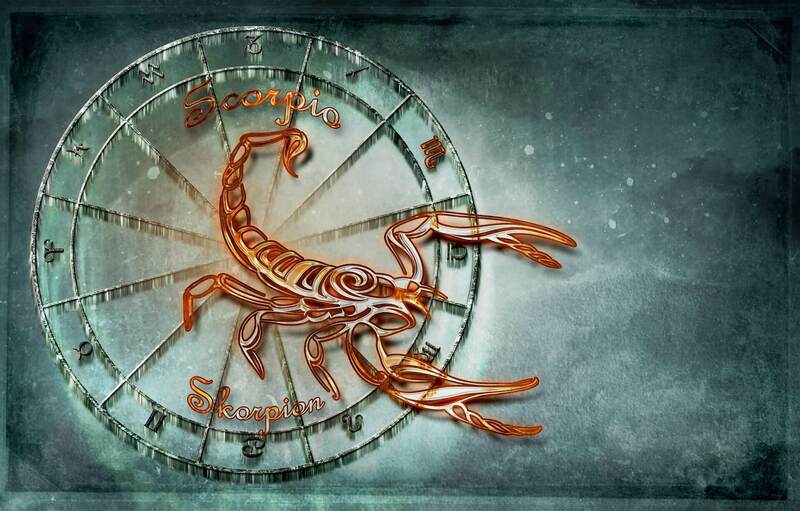 We’re going to explain some of main characteristics and traits of this zodiac. If you’re an Aquarius or if your rising sign is Aquarius, all of this applies to you. Aquarius is the 11th sign of the zodiac so it rules the 11th house in the zodiac chart. It’s ruled by Uranus, its modern ruler, and Saturn, its ancient ruler. Aquarius is a masculine air sign and also fixed which plays an important part in who they are. The fact that Aquarius is ruled by Uranus gives birth to the genius in him or her. Uranus, as you may or may not know, is the planet of revolutionaries, of brilliant ideas, of big changes, of radical changes, of the unpredictable that comes up out of nowhere and just sweeps across the board, and everything changes from there. It’s the planet of rebels and those who want to change the world, and it so happens that Aquarians can find themselves, in one way or another, doing this. Saturn, on the other hand, is their old ruler. So from Saturn, an Aquarius get the determination to follow their goals, to stick to what they know, and the stubbornness. The fact that this is a fixed sign means that Aquarians are mostly stubborn, opinionated, and are going to stand up for their own opinions. Aquarians believe a lot in themselves and are a bit reluctant to change. Although all of these might sound negative, these can all actually be pretty strong qualities as well because a fixed sign is determined and focuses on their own goals so they don’t get distracted easily. People with the Aquarius star sign don’t really care what other people think so that’s the beauty of it, and being the air signs, they are the most intellectual along with the air trinity – Gemini and Libra. They live in the world of ideas that they want to apply in the real world. 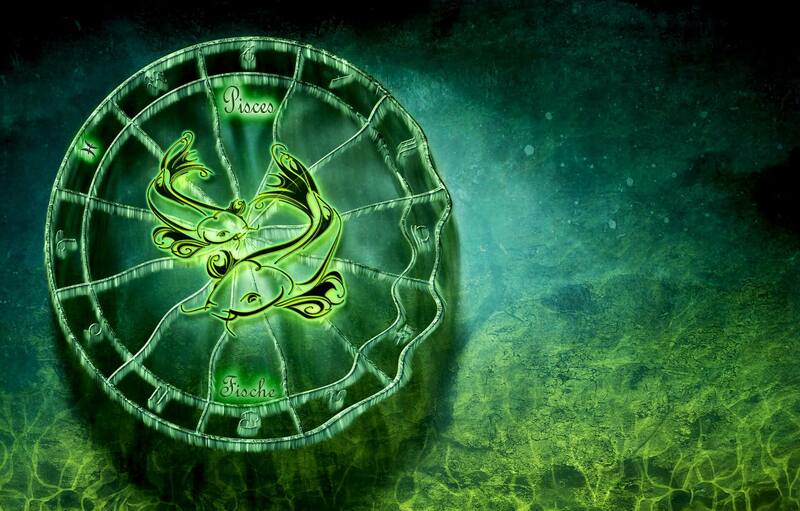 Aquarians are the humanitarians of the zodiac. At one point or another in their lives, they will realize that in this lifetime, they need to do their best to change the world in one way or another. This zodiac talks to masses and they like to be preachers because they are visionaries and they can see and predict changes that are likely to affect the whole of humanity in decade’s times. They’re misunderstood most of the times because they’re too evolved, so to speak, for the present, but they can see very well into the future. A strong desire of an Aquarian is to make the world a better place. They are huge champions of human rights and want to make sure that what’s happening in the world is fair for everyone, which obviously isn’t. That’s why Aquarians often spend their lives trying to make a difference in the life of the community and in the life of their extended group of friends. Aquarians really want to see the world evolve because they’re the sign of evolution, of progress, of innovation, of technological innovation. 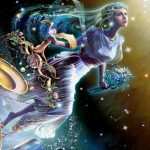 Some very good professions for Aquarians are in tech because tech changes the world. Another trait of Aquarians is that they’re attached to their friends. Because Aquarius rules the 11th house in the zodiac, it also rules friendships. At times, friends can even seem more important to an Aquarius than their own family. Aquarius wants to give a piece of him or her to every single person in their life and way beyond that. So they don’t see why they would place their family relatives above their friends. 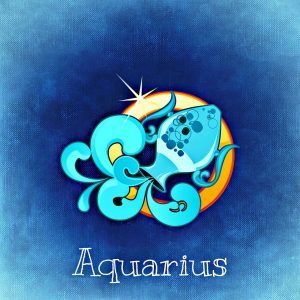 The symbol of Aquarius is the water bearer and that’s why sometimes people are under the impression that Aquarius is a water sign. That could not be further from the truth. Aquarius is an air sign and they are the most unemotional sign of the zodiac. They can seem cold and extremely detached. And that’s partly true because they’re objective; they want to see things through the lens of their own sensibility, of their own mind, they don’t want to let emotions interfere. That’s why a career in justice would be very good for them because they see things the way they are. Aquarians want to discover the truth and make it available for everyone. That’s why they sometimes are very reluctant to giving themselves away to other people from an emotional standpoint. That’s why it’s also pretty hard to get involved into a romantic relationship with an Aquarius if you’re not a huge fan of intellectual debates or philosophical discussions. If you’re not on the same page as they are, it’s going to be really hard to relate to them. 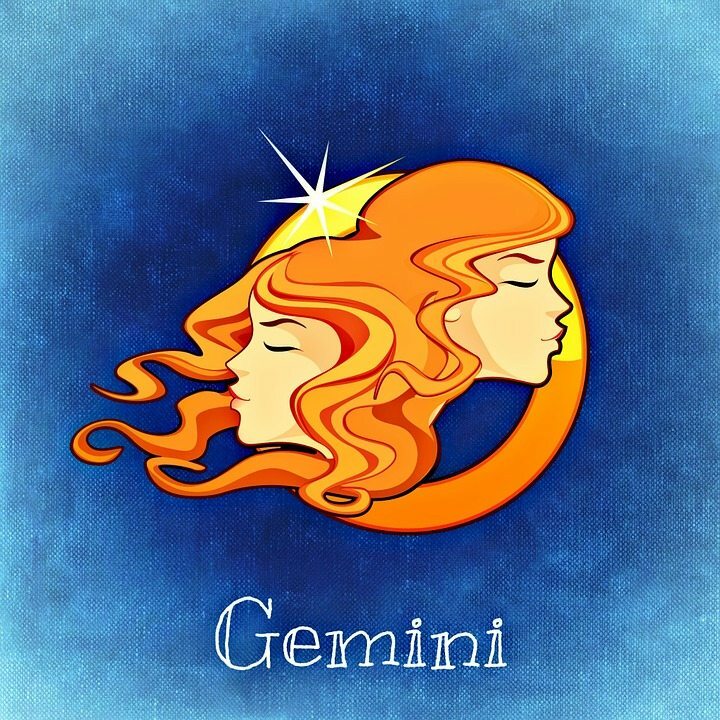 That’s why, in general, Aquarius can get into relationships with other air signs such as themselves – Gemini or Libra. 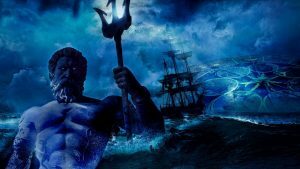 Aquarians are at the rebels of the zodiac, they don’t care what other people think, and they’re just going to keep on doing whatever they doing because they believe in themselves and they celebrate their uniqueness and everyone else’s. So Aquarians are very likely to be eccentric people and wherever they go, they stand out. It’s not like they want to stand out necessarily for the sake of it, like a Leo would do. Aquarians attract attention because they’re just so different than everyone else out there. At their highest, Aquarians can reach the conclusion that they are smarter than everyone they know, that they are more special than everyone they know. And the challenge is, if they do realize that, to share what they know and who they are with the entire world and fight to make it a better place. 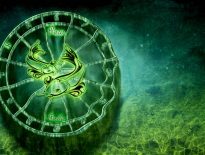 Aquarians are here to enlighten people and that should be their main mission and goal in life. 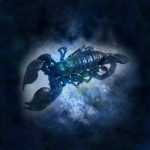 Now that you are familiar with the main traits and characteristics of this unique sign, it is time to move on to Aquarius birthstones. These are special stones that have a unique ability to influence this sign in a positive way. Birthstones are assigned according to a particular sign and by having those in possession might bring great things to your life. Each birthstone can accentuate and develop some of the positive qualities of this zodiac, as well as aid in overcoming the negative ones. The birthstones for Aquarius are amethyst, garnet, amber, hematite, magnetite, and obsidian. 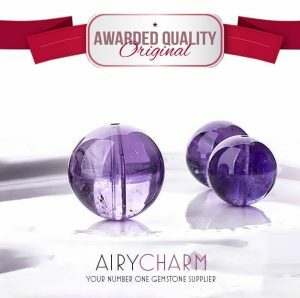 Amethyst is a very famous crystal that has been used since ancient times for different purposes like healing and protection. For an Aquarius, the amethyst birthstone influences primarily the mind and intellect. Although this zodiac has strong intellectual traits and people born in the sign of Aquarius are considered to be very smart and wise, they can often suffer from mental problems like anxiety, depression, or bipolar disorder. That can greatly influence the mind of an Aquarius who could then struggle with their daily life. Amethyst is a perfect tool to get rid of those conditions and improve one’s mental health, making you less anxious, fearful and more content, relaxed, joyful, and at ease. It has a positive effect on the nervous system and enables Aquarians to function better in their day to day life. For the full effect of the amethyst birthstone, we recommend that you wear it as some type of jewelry, whether it is a necklace, bracelet or earrings. Garnet is a stone with a stunning burgundy color which exudes elegance and sophistication. It is another one of the Aquarius birthstones and it is a great tool for increasing abundance and prosperity in one’s life. Aquarians are known for helping other people and their humanitarian nature which is a wonderful trait to have, but they oftentimes neglect themselves in the pursuit of greater good. 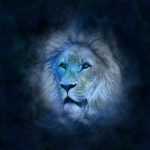 The most difficult thing for an Aquarian to do is stop for a moment and relax, and take of personal needs first before helping others. Garnet has a very nice influence on Aquarians because it grounds them and brings up some of personal issues they need to work on. If you’re feeling stuck or overwhelmed, wearing garnet jewelry might be of interest to you. This birthstone has a gorgeous orange color and mysterious glow. In ancient times it was believed that sun’s energy was captured inside the amber gemstone. If you want to take full advantage of amber’s metaphysical powers, wear it on your body in from of eye-catching jewelry. 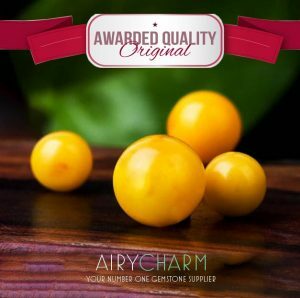 Aquarians might benefit from this birthstone a lot because Amber directs their energy and makes them more concentrated. 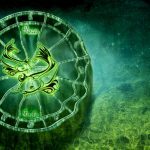 This zodiac has amazing and unique ideas, but the goal is to use them in order to actually create something and not be lost in thought. Amber is a great clearing stone and it makes the right path more visible to us. 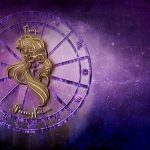 If you are an Aquarian and are not sure what to do with your life or feel confused, amber will certainly enlighten you and help you see what’s best for you and people around you. Hematite is a uniquely beautiful dark stone that has captivated people throughout history. It is known for its strong metaphysical powers and the ability to release all negative energies. This birthstone is particularly helpful for women Aquarians, especially those who are shy or have low self-esteem. Hematite energy is a great tool for Aquarian women who want to feel confident and powerful. If you’re Aquarian, you should accept your uniqueness among other signs and show it with pride. This is a strong suit of this sign because there’s no one quite like them. Unfortunately, that’s why they’re often misunderstood, but should work towards accepting their unique point of view and eccentric personality. Why be ordinary and conform when you can excel at life by being different and true to yourself? This is the essence of hematite energy and that’s why it is a perfect birthstone for all Aquarians. Magnetite is another dark and mysterious birthstones that corresponds to the Aquarian energy. It is a great mood regulator which is perfect for Aquarians who suffer from mood disorders. Aquarians are quite intelligent and knowledgeable, but their own mind is often what’s stopping them from reaching their full potential. Magnetite will help you be the person that you can be and succeed in anything that you set your mind to. 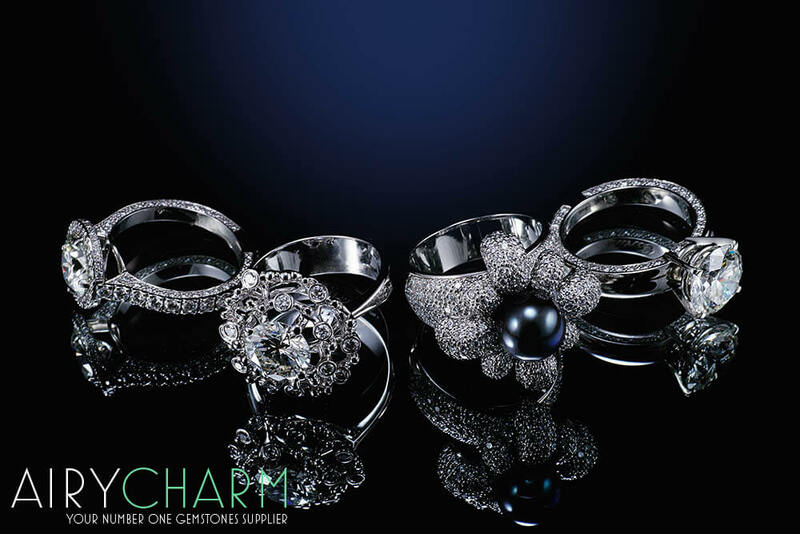 This birthstone is also a great tool for improving personal relations. Although Aquarians love their friends and family, they often don’t know how to show it and may seem cold and distant. Magnetite will help you to express your emotions more clearly and not be afraid of being vulnerable. If you’re an Aquarian who would like to have more abundance, positive energy, and romance in their life, wearing obsidian jewelry might be the something to consider. 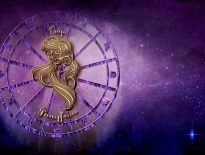 This zodiac often has problems in their romantic lives because they’re logical and objective and don’t know how to express their emotions fully. If you’re an Aquarian or your significant other is an Aquarian, obsidian birthstone might help them to be more passionate and open with their feelings. Lucky colors for the sign of Aquarius are violet, blue, and black. All of those are very powerful colors that can have a positive influence on this zodiac. Although black might seem like a dark and negative color, but it actually symbolizes confidence, dignity, stability, discipline and protection. We recommend that Aquarians have at least a couple of black outfits in their wardrobe, especially for work and special occasions. Black jewelry like magnetite, obsidian or hematite are great choices for accessories. Violet corresponds to the Aquarian eccentric nature, creativity, and free spirit. It is a wonderful color that symbolizes intuition, compassion, prosperity, and inspiration, all of the traits that Aquarians have. 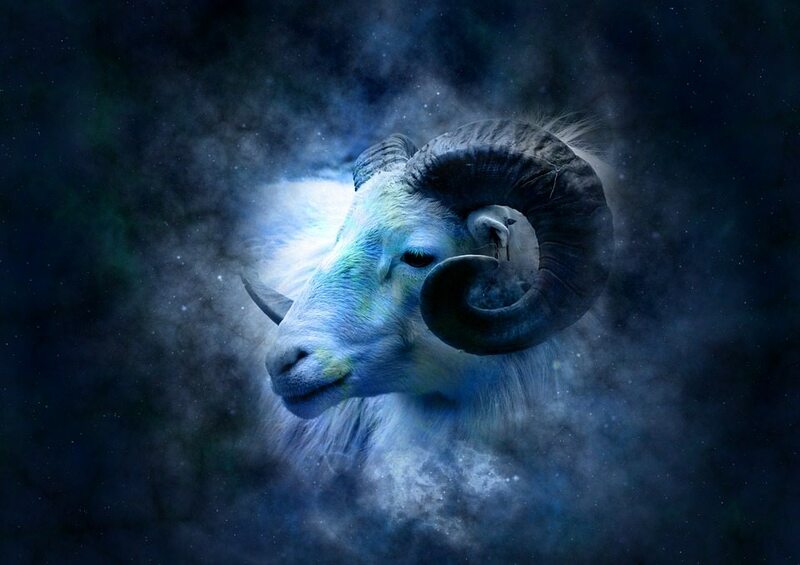 Blue is another great color for this zodiac because it exudes calming energy and symbolizes freedom. Having a couple of blue pieces in your living space might make all the difference.